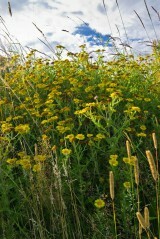 Common fleabane is an attractive, native and perennial member of the daisy family. It is a distinctly downy, almost woolly plant that grows to about 1m and has lanceolate wavy edged leaves. The rays and disc florets, which make up the 3cm diameter flower heads, are golden yellow with the flowers blooming from July to late September. 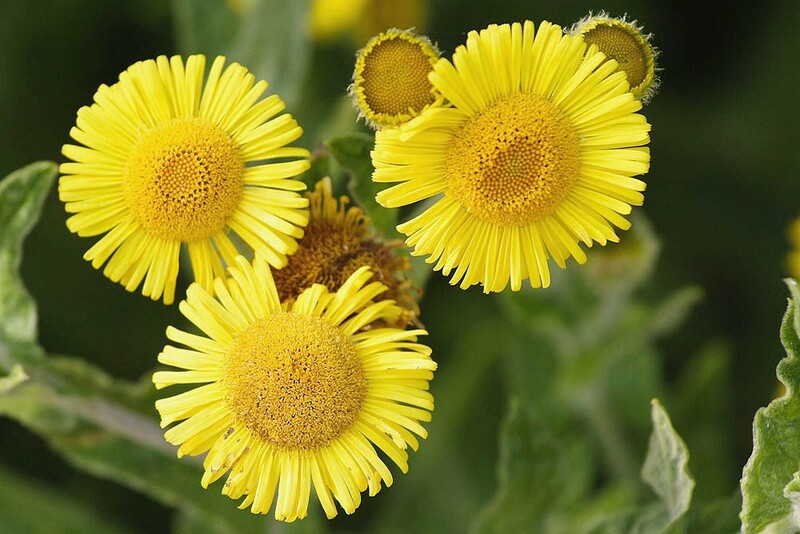 Common fleabane is a native perennial of damp, open habitats such as water meadows, fens, damp woodland rides, dune slacks, damp hollows and the edges of water courses, lakes and ponds. It is found on a wide range of acidic and base-rich soils and is common throughout much of England and Wales although rare in northern England and almost absent from Scotland. 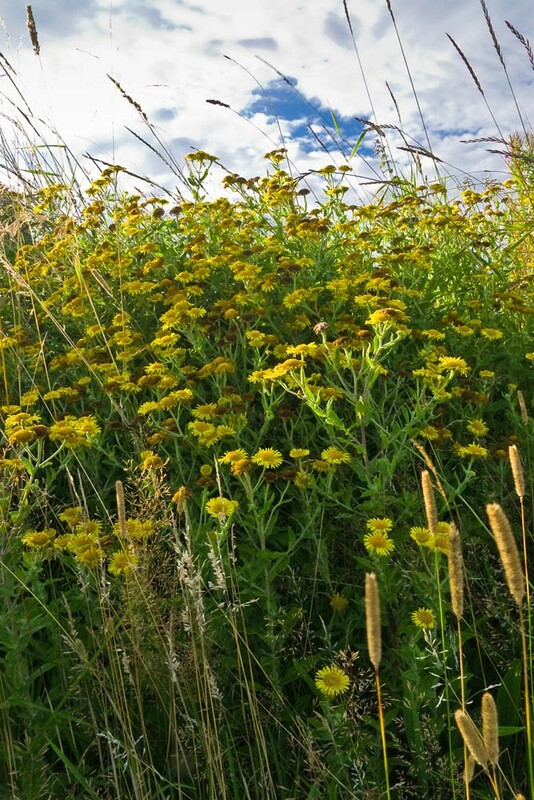 In late summer and early autumn Fleabane produces large numbers of dandelion-like seed which can be carried considerable distances by the wind. 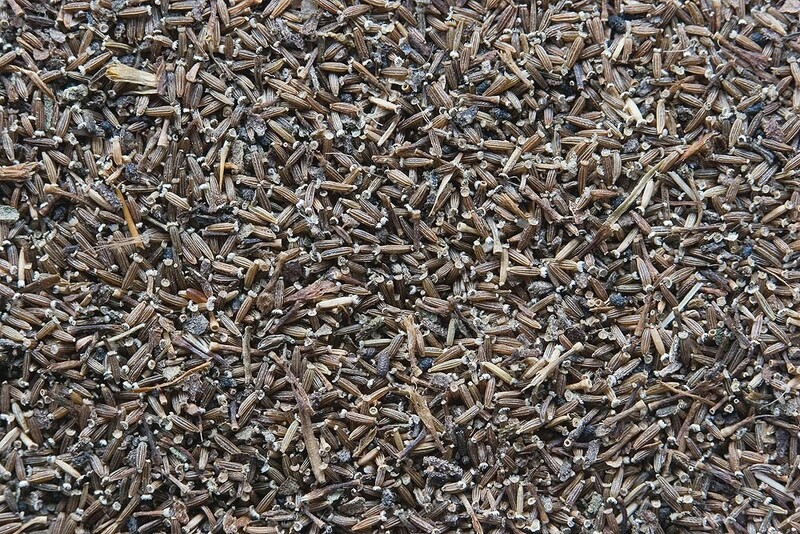 Seed readily establishes in new sites if conditions are right and enough bare ground is present. Mature plants can also spread by means of rhizomes. The open flower heads of Common fleabane are an important pollen and nectar source for a wide range of bee, hoverfly and butterfly species. Readily grows from seed sown at any time of the year.